A popular exporter and supplier to leading fashion stores in India have created a must-visit tourist destination by opening their own store where shoppers can buy directly from artisans. Its diverse collections of merchandise will bring any seasoned shopper to their knees – this is where you can literally shop ‘till you drop’. Veteran shoppers would agree that just about everything is on the floor here. Clothing & accessories, belts, ties, gift sets, handicrafts, ceramics, home decoration, stationery/diaries, notebooks and collectibles. You’ll have good fun browsing the clothing, picking up gifts for yourself or some one you love; you are guaranteed to find something you would like to take home. The focus at Udaipur Haat is more on cutting-edge fashion. This store is busy but isn’t overrun by tourists; crowds of locals enjoy coming here too. Udaipur is worth dedicating an evening to. 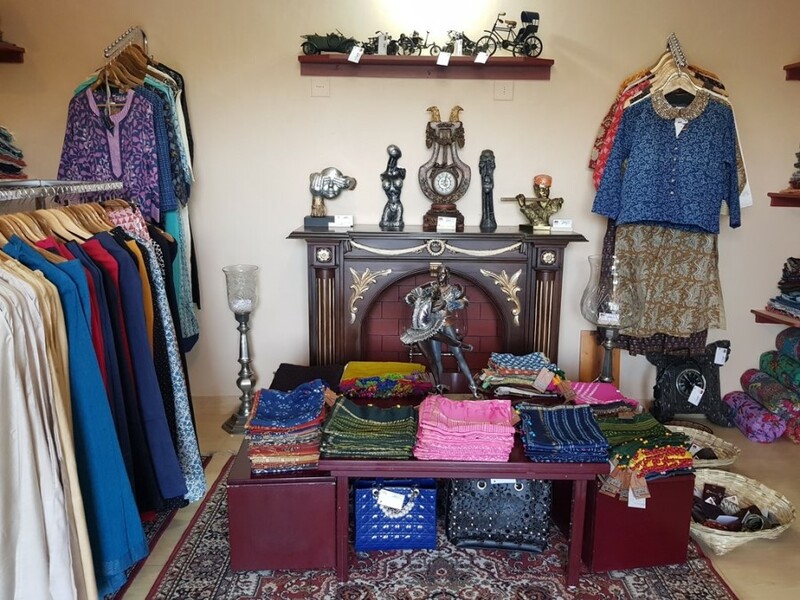 If you are looking for something special, head to this, Udaipur ’s finest store where you’ll find handpicked, handcrafted woman’s wear collections directly from those who make them, without any middlemen. Yes and the same products which are not only exported to several countries but also sold at two leading branded stores across the county- but at three times higher price points. Nisha, well aware of the exploitative situation facing female artisans decided to take a crucial step of eliminating the middlemen and paying these independent women the wages they deserve. Nisha, being an Entrepreneur, Humanist, and Aficionado of culture & arts spent 30 years of her life traveling and exploring the art and culture of around 60 countries. She notes: “women are the largest untapped resources of talent in the world”. 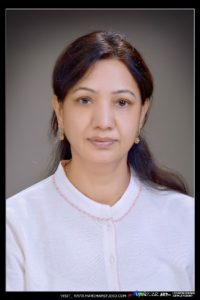 On her decision about setting up Udaipur Haat she stated, “Life-fulfilling work is never about the money- when you feel true passion for something you instinctively find ways to nurture it”. Udaipur haat brings together a colorful blend of ethnic and western wear silhouettes fused together in one aesthetic they aim at bringing together women with different tastes and style sense to dress in Indian wear, that’s served with an amazing twist! Think girly frilly kurtas, a riot of colors strewn on a saree like a painting and much more. Sounds amazing, right? It really is! If you love Indian dressing and love mixing color with typical Indian prints and patterns like block printed fabrics, then this place is one you’ll love. From beautiful long kurtas paired with trendy palazzos Udaipur haat has a variety of ethnic wear for girls. Their line of outfits is filled with bright hues, unique cuts & patterns, and a collection for any occasion. Great ‘Mix n Match’ collection , trendy contemporary Indian ethnic wear that has a tinge of Western style to it. They have a quirky yet splendid range of ethnic dresses, work wear kurtas, palazzos, skirts. Their cut, style, & innovation has young women swarming their stores. The ‘store’ is a place to be explored, touched, experienced and is constantly evolving. To visit Udaipur Haat , you follow Sajjan garh main road until you reach Store in the garden. You park. You walk past garden at the entrance in the driveway, it’s like visiting the house of a particularly overachieving friend. The only way to stand out in the image-obsessed world is to wear clothes so rare that nobody else can find ’em—which is why Udaipur haat stocks only those clothes which are organic, unique, handprinted. No, you just want to look at all the clothes. Start at your right: Short-sleeve ladies’ shirt. Gray long shirt. Black scarf. The charcoal shawl you imagine when you think “charcoal shawl.” Then, wait, is that a range of T-lite candle stands series there? Is that a huge display of necktie collections from around the globe? Is that a case of the vintage clock? Can I really get a vintage video camera? Wow. All these extras are oddly comforting, emblematic of a certain civilized lifestyle you could get used to. weren’t physical stores supposed to be dead by now? The Internet should’ve killed them but Stores like Udaipur Haat keeping this live, retail spaces for best-in-class examples of premium store design, and exemplary customer service, this store is redefining what it means to create a ‘unique’ customer experience. 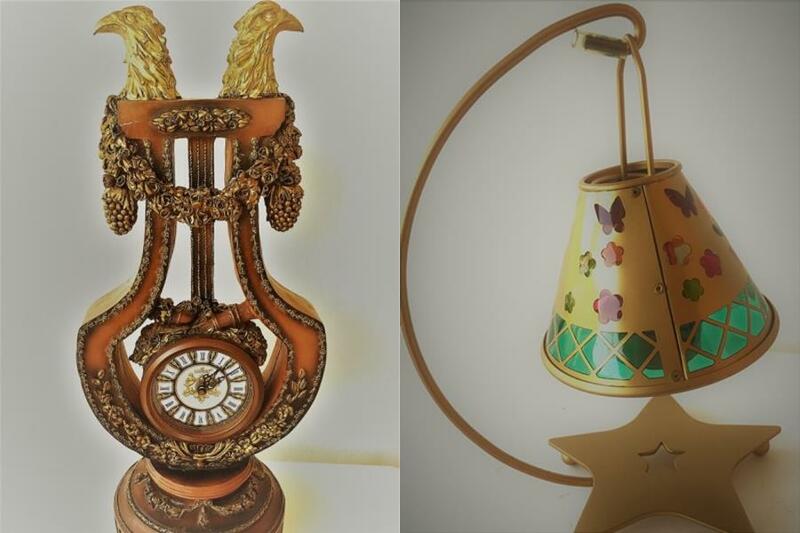 tribute to the elegance, service, and attention to detail of times past. Not only Women but gentlemen too can select from ties to men’s fragrance. We know we all girls love all things desi and fashionable, you must go to Udaipur Haat and give your desi wardrobe a brand-new update, girls! The variety of shopping experiences in Udaipur haat goes far beyond a stroll in a mall or a day spent browsing a market. Shopping in Udaipur haat is shopaholic's paradise.... Not only are you spoiled for choice; it's all super easy to navigate. Women love shopping and keeping in mind the needs of this generation The Udaipur Haat is the new venture of this Festive Season for the shopping lovers . My Heartiest Congratulations and lots of warm wishes and success to the Women behind this great idea . Beautiful, elegant clothes made for the modern Indian woman. Ranging from easy breezy everyday wear to intricately beautiful for festive season. Love their approach to colour combinations & the simplicity in their design. Apart from that they have verity of products for women. I just love all Udaipur Haat and recommend everyone to visit them soon. The ethnic collection of Udaipur haat has chic written all over it. An in-house brand of export unit offers long kurtas, have a unique style. Their clothes are ideal for work, party, and casual outings with our gang. The brand has simple yet elegant designs that makes everyone to have a pair of Udaipur haat in their wardrobe. Kurtas, palazzos, Tops Udaipur haat has all of it.This brand is one that makes you look special at any occasion. From Tbilisi, Georgia-The place itself screams true intrinsic heritage. Colors of our innate culture radiate from the products of udaipur haat. The meticulously designed fabric certainly seem to be an eyecatcher for the onlookers. Would recommend paying a visit there for the gentlefolk. Nothing less than a marvel of ethnicity weaved in cloth.